Goals: We all have them. Some are short-term, some are long-term and some are hard to put in a time frame. Whatever the situation, goals are important. They give us something to strive toward, and a reason to pat ourselves on the back when we’ve reached them. We determine our goals based on experience and on what we want out of life. Some dream of getting married and having children. Some wish for an academic career or to own a business. Some want to start a nonprofit organization, or travel, or simply live a healthier life. No matter what our goals are, comparing them to others’ can cause us to have a difficult time focusing on our own needs. We are the author of the chapters in our own book of life. Carefully select the content of your chapters, as well as your co-author. Be your own main character. It is important to consider what you want to achieve or what will make you feel whole. It is not only possible to feel complete as a whole – there can be a sense of completeness in the parts that make up the whole, as well. For example, you may feel complete or accomplished in your career choice but yet still be working on your personal relationships or health. Remember that your definition of “complete,” “whole,” or “accomplished” can vary from others’. That’s perfectly healthy and normal. How you choose to set about achieving your goals is an individual process as well. Some people like to set small, specific goals; accomplishing them brings a feeling of satisfaction. Setting and achieving smaller goals also can help from feeling overwhelmed. And if you are unsuccessful meeting a small goal, you have the opportunity to fine-tune. (It can be hard not to want to pitch a bigger goal out the window if you don’t fulfill it.) The best thing about goals is that, once you learn not to see them as being concrete, you’re free to tweak them. If you are unsure, seek advice or guidance from someone you trust, or get into counseling so that you can process. Don’t set yourself up for failure. This does not mean that you must accept failure, but accept that sometimes when we try at something we may not succeed the first time. Don’t give up! Always stand one more time than you fall. Don’t set yourself up for failure. For example, if you have not been exercising, don’t expect to run a half marathon with only a couple of weeks of running. You may share the same goals, but your means for getting there may be different. Work with what suits you. Remember that what makes you feel whole may not work for someone else. Sometimes we need to get rid of the Superhero cape! Some things cannot be accomplished without help. Reach out to someone you trust and who supports you. If nothing else, have faith and confidence in yourself. I believe in you but at the end of day you have to answer to you and you alone. 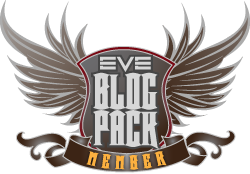 This entry was posted in Fit Fleet and tagged EVE Online, Roc Wieler. Bookmark the permalink.